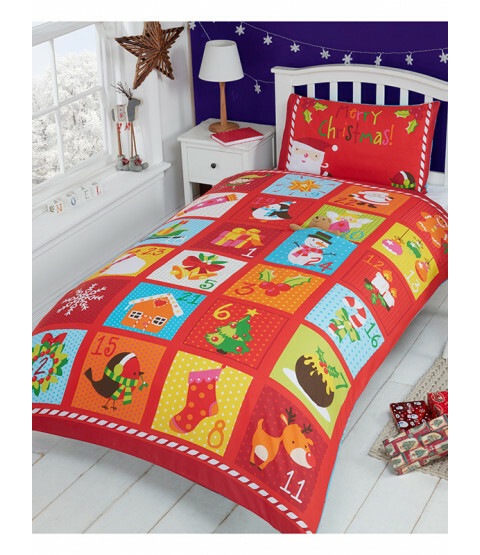 Add a touch of magic to any bedroom with this fun and festive Advent Christmas single duvet cover set. The adorable design has an advent calendar theme, with numbered Christmas related images representing the advent calendar doors and a real pocket for a special gift on number 24! This bedding set is suitable for machine washing and tumble drying.